Costco Complete ID Review: Completely Failing Its Members? Costco’s Complete ID protection is one of the least expensive identity monitoring plans on the market. However, it’s only available to Costco members and the price increases if you don’t have the highest membership plan. Is this a viable option to help protect your identity? We’ll share the details with you so you can be sure that you are signing up for the best ID theft protection. Note: Costco often packages specialty service providers from other companies’ white label product offerings to create a “new” product. In this case, CSID (an Experian company) has provided the ID theft product that has been rebranded as Complete ID. What Does Complete ID Monitor? Do Customers Like Complete ID? We generally try to include 2 positive and 2 negative reviews for each company, but we struggled to find 2 positive reviews to share with you. Who Are Complete ID’s Competitors? Are you unsure about choosing Complete ID to protect your identity? We understand your concern. Throughout our research, we found complaints about customers unable to access their accounts or reach a customer service representative. We hope to see a change in customer reviews shortly, but for the time being, we can recommend other companies to you. Read our comparison of the Best Identity Theft Protection Services to see how Complete ID ranked amongst other identity theft protection companies. You may find that there’s a different company that is better suited to your needs and in the end, we hope you’ll feel more confident and informed in your purchase decision. 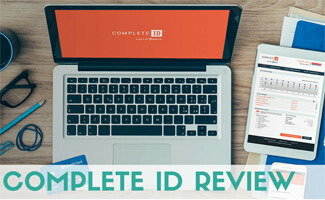 Do Complete ID’s customer reviews worry you? Sam, I just called the customer support line number you provided (same as that on their website) and I spoke to a real person in 15 seconds so they have certainly improved as I thought they might as stated in my previous reply to you. I’m still interested in hearing how you fared. Kimberly, speaking to the rep, she listed many items that are monitored, some of which you said are not in your current update of 11/8/18. When can we expect another update? Thank you very much for your help. Hi Dennis, thanks for the comment! We’d be happy to make any quick updates to this article. What items were you told they cover that we say they don’t cover? Thanks for informing us on this! Sam, sounds pretty bad, gives me serious second thoughts about signing up. Since Costco switched over to Complete ID just a few months before your comment, hopefully by now they’ve improved. I suggest you call Costco customer service. Since it’s a product they offer, they should be able to get you help a lot quicker than 2 hours! Their customer service seems to have a pretty high rating. How did this fiasco finally turn out for you? My account is locked and trying to get in touch with customer service support line at 855-591-0202 since 15 days. It’s unreachable. On there website it says we are available 24/7 365 days. Call and hold for more than 2 hours per day but no reply. Also no email where you can send your complains. Really HORRIBLE service. Don’t know how to get the money back and how to reach them to cancel my account.